Smokey, spicy, crispy and juicy, this dish is one of my favs and perfect if you are already sick of winter stews and soups. 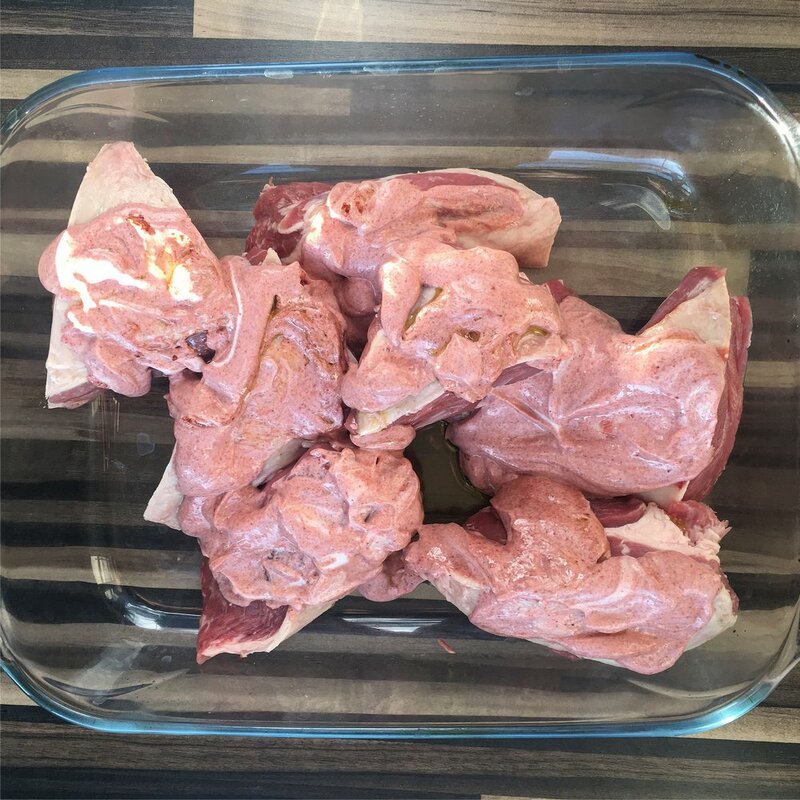 To marinade the lamb first cut the meat into large chunks and place in a dish. 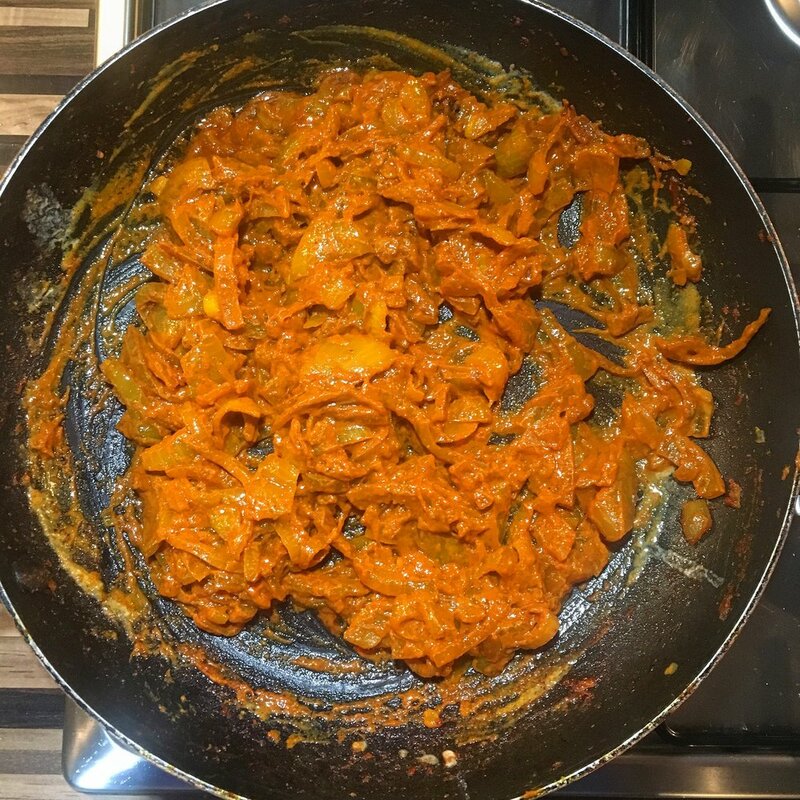 For the marinade mix one pot of natural yoghurt with three tablespoons of tandoori masala and coat. Place in the fridge for at least an hour or preferably overnight. For the bhaji's cut 6 medium sized onions and fry on medium heat along with a large nob of butter until translucent. Next add the spice mix of turmeric, garam masala and cumin along with the garlic and tomato puree. It is important to fry the mixture to cook out the rawness of the tomato puree and to encourage the spices to release their flavour. When mixed the spices will cause the mixture to become fairly dry so add a couple of tablespoons of olive oil and fry for a further 3 minutes. 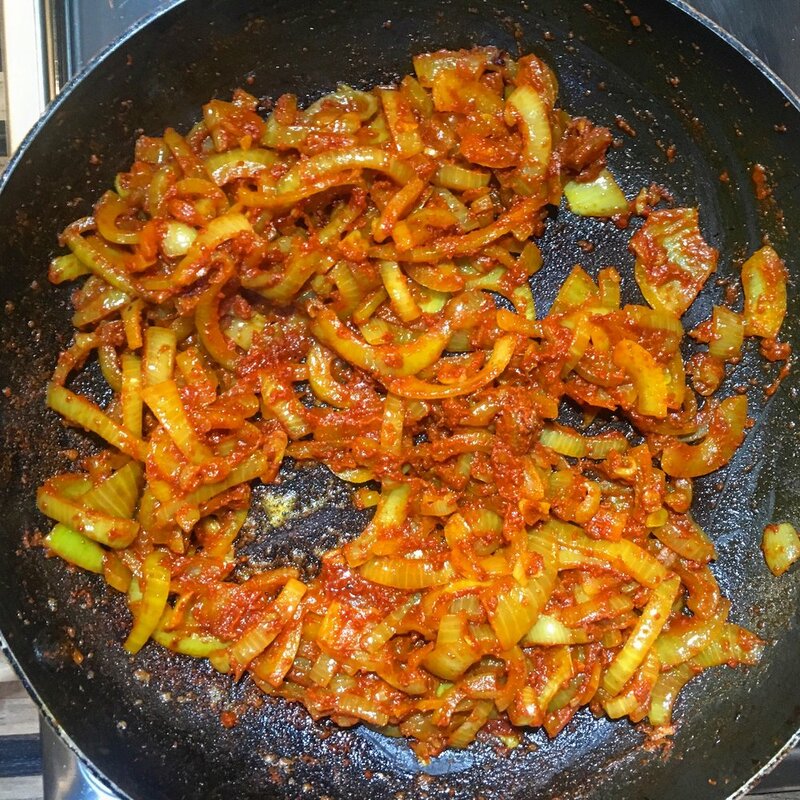 In order for the onions to bind to form bhajis, you will need to add some flour. To do so make a slurry by adding the plain flour and cornflour to a cup of water and pour straight into the pan. Combine the flour slurry and the onion mixture before placing individual dollops of the mixture on a greased oven dish. Whack the oven to full temp and bake the bhajis for 10-15 mins. To accompany the lamb I made a yoghurt dip made with mango chutney, fresh coriander and salt. 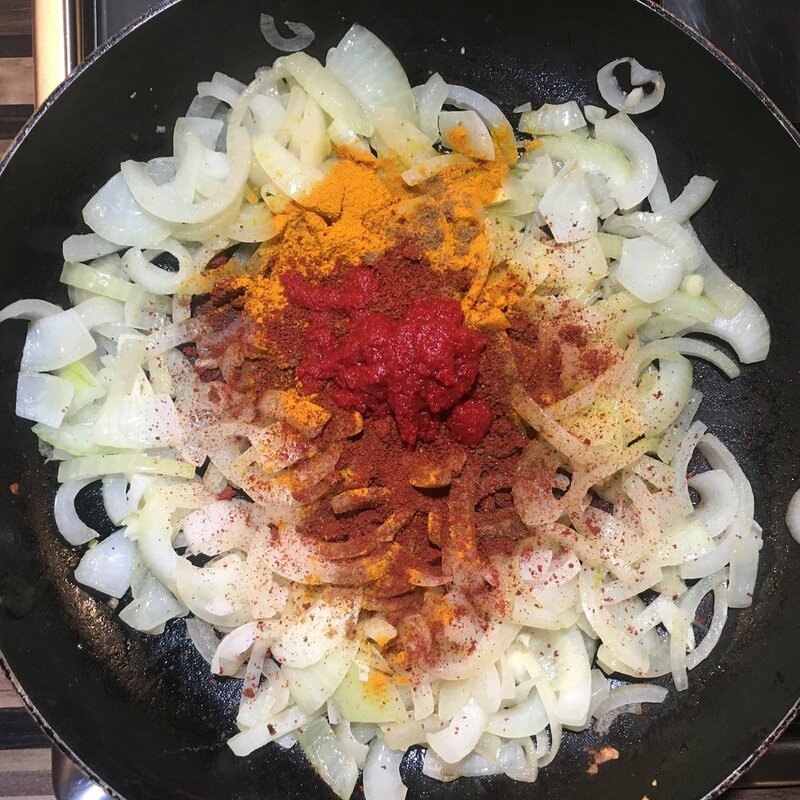 The dip is much needed as both the lamb and onion Bhaji's are dry dishes, it also works well in tying the dish together. To make it is simply a case of placing the ingredients into a bowl and combining. Now for the exciting part in cooking the lamb. Pre-heat your BBQ for at least 15 minutes so it reaches maximum temperature. The idea is to cook the lamb on direct heat for as little time as possible to create dark caramelisation on the outside with a pink centre. 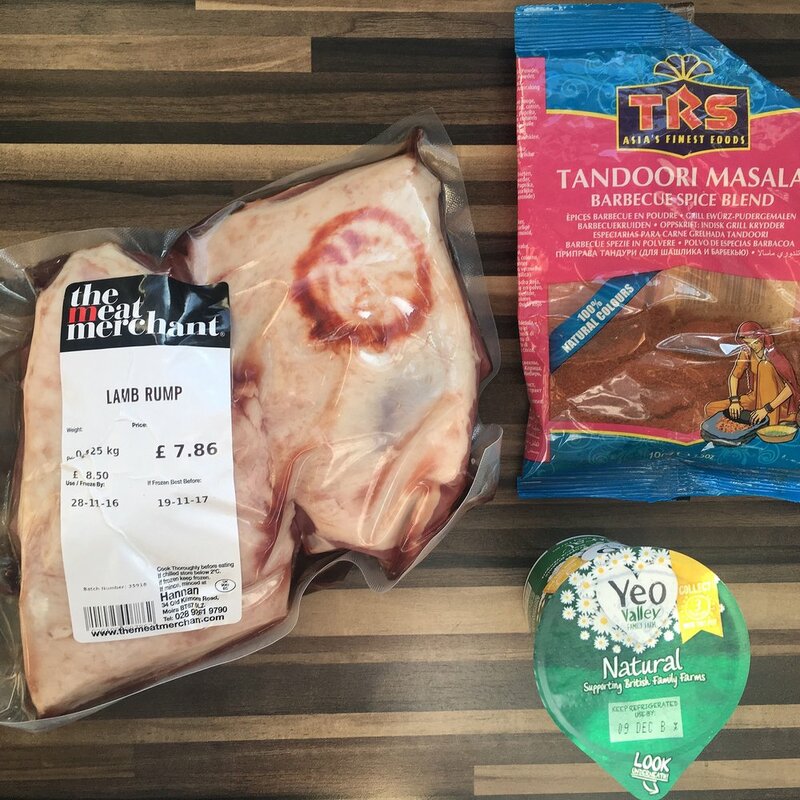 The thick yoghurt marinade should keep the lamb from drying out under the intense heat. After 3 minutes of cooking per side on direct heat, the lamb should be ready to remove from the grill. Cooking times will obviously vary depending on the size of the cuts of meat. Remove the lamb and rest for at least 10 minutes. 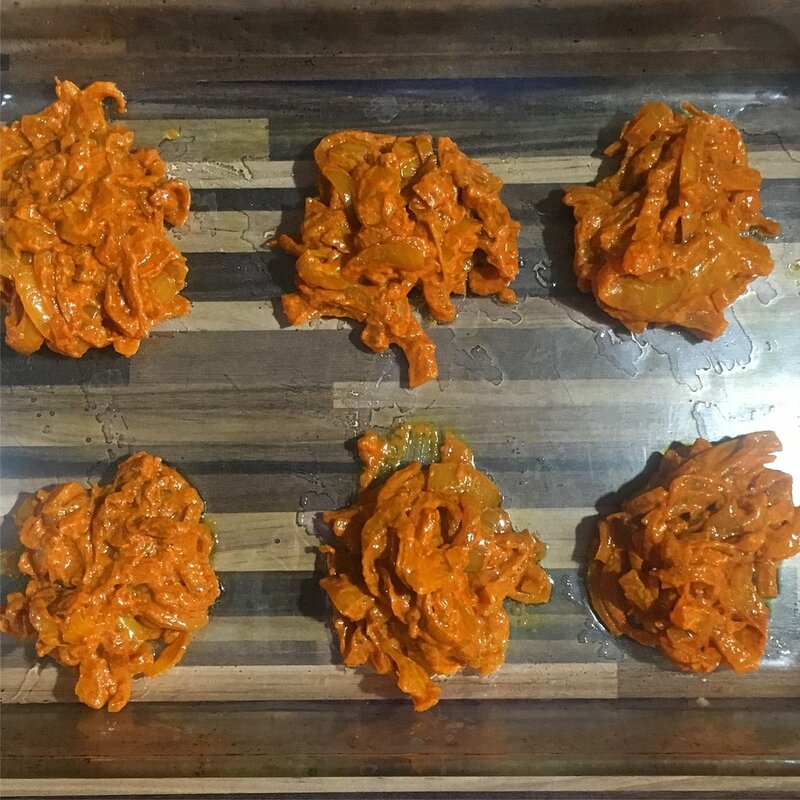 After 10-15 minutes the onion bhajis should be crisp with slightly burnt edges. Carve the lamb and serve with fresh naan, the refreshing yoghurt dip and the crunchy onion bhaji.